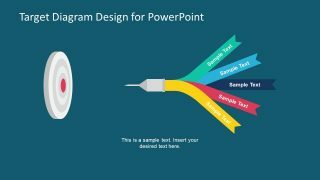 The Multiplexed Target PowerPoint Diagram is a flat design vector template for presentation of aims and goals. The template is an incredible dart game presentation which is also universal metaphor for hitting targets and achieving goals. 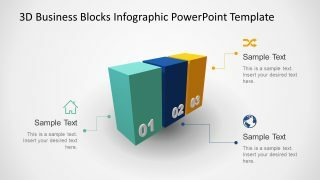 Therefore, this PowerPoint diagram is an ideal business presentation to demonstrate the company’s goals and its success. This bulls-eye multiplexed target PowerPoint however has five and three ribbon slides. These are the colorful chevron ribbon PowerPoint shapes in a single dart pin reaching for the dartboard. The idea of multiplexed target diagram is to display a single goal which is comprise of smaller marks. Hence, achieving the smaller tasks eventually leads to hitting the main goal. The multiplexed target template is useful for businesses as well as individual person’s aims and desires presentation. 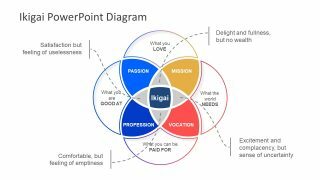 The Multiplexed Target PowerPoint Diagram is a game style presentation of achieving goals and success. 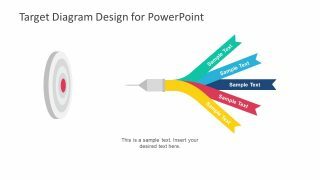 The PowerPoint diagram shows a tilting dartboard clipart and the dart with multiplex ribbon options. For example, the first slide has five option ribbon dart and second slide has three options. Furthermore, the presentation contains the two background versions i.e. white and blue. 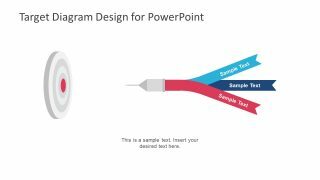 The multiplexed PowerPoint template diagram is a creative design to produce maximum audience engagement. For instance, display the planning which is require completing specific projects and targets. Further, it graphically depicts the achievable targets and how to successfully complete them. Similarly, create a list of personal goals or business goals into one big target. 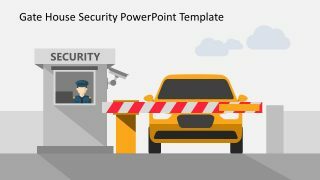 The PowerPoint Template diagram of Multiplexed Target is a fully customizable slide deck of three designs. 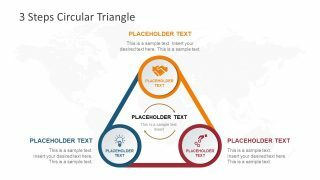 This is an inspiring target diagram PowerPoint of visually interactive graphics which help viewers to memorize target accomplishing process. This template enables users to change colors, sizes and position of darts and bulls-eye. Moreover, change the background, theme and layout as well to insert more graphical and textual content.